If you have a telephone company provided wall jack for each individual phone line in your home or office, you probably have POTS – Plain Old Telephone Service – an affectionate name for traditional Analog copper phone line service. This is a physical pair of copper wires that are directly connected between your home or office and the Telephone Company Central Office. Each pair of copper wires from the Telephone Company provides an individual dial tone and phone number for your Telephone. Traditionally, it is the responsibility of the Telephone Company Central Office to provide dial tone, line voltage, and ring voltage to that copper pair – the power that makes the phone work. As many of us remember in the days before the Internet, even if the Utility Power was out, we could still make and receive phone calls. Telephone sets had mechanical or electronic bells completely powered by the electricity provided from the Telephone Company Central Office. If you have a larger organization with dozens of telephones and each person has their own direct dial telephone number and/or dedicated extension, you probably have a PBX (Private Branch Exchange – On-Premise Telephone Switch or Phone System) in a closet with one or more Primary Rate Interface (PRI) Digital Circuits from the Telephone Company. Each PRI is capable of providing up to 23 simultaneous voice conversations. A PRI is a special type of copper wire circuit, again between the Telephone Company Central Office and your Office. Unlike the Analog POTS circuit described above, where there is a one to one relationship between the pair of copper and a telephone number, with a PRI, a virtually unlimited quantity of telephone numbers can be supported but only 23 simultaneous voice conversations can occur at one time per PRI circuit. In either case, the similarities are that there is very long copper wire between the Telephone Company and your home or office. If you have Telephone Service from a Cable company, you have a hybrid service that is a combination of both Digital and Analog services. The “long copper wire” described above is replaced by a digital VoIP (Voice Over IP) service provided through a Cable Modem. VoIP is a fancy term for delivering traditional telephone services over an IP Data Network, in this context, the Internet. The VoIP service connects back to the Cable Company Telephone Central Office over the same Coaxial Cable that carries your television service. Your existing telephone plugs in to an ATA (Analog Telephone Adapter – usually built in to the Cable Modem) that converts the digital VoIP data in to the traditional Analog, two wire pair that your telephone can use. If you have Telephone Service from Verizon FiOS, you have a hybrid service that is also a combination of both Digital and Analog services similar to that which is provided by the Cable Company. The difference is that the digital VoIP (Voice Over IP) service travels through a Fiber Optic Cable as laser pulsed light, instead of as electrical signals through Coaxial Cable, back to the Verizon Telephone Central Office. Your existing telephone plugs in to an ATA (Analog Telephone Adapter) that is built in to an ONT – Optical Network Transmission unit. The ONT is a specialized piece of equipment that converts the laser pulsed light in the Fiber Optic cable to an electrical signal that the ATA can use to provide dial-tone and a telephone number to your single line telephone. The Telephony infrastructure is changing at a rapid pace. It is now extremely rare to have an actual single pair of copper wire connected between your home or office and a Telephone Central Office five or twenty five miles away. From the beginning of telephone service as we know it dating back over a century, this was common practice and exactly how the original AT&T Telephone Network was built. In the examples above, Verizon FiOS is converting the Analog electrical signal that your telephone needs to a Digital Light Pulse inside the ONT installed in your home or office. In essence, Verizon has replaced the miles of traditional copper wire with a Fiber Optic Cable directly connecting your home or office to the Verizon Telephone Central Office. In areas where Verizon cannot bring Fiber Cable directly to your home or office, they replace the hundreds of pairs and miles of copper wire with Fiber Optic Cable to Junction Boxes in each neighborhood. (One Fiber Optic Cable can replace hundreds or even thousands of copper pairs of wires.) In each Junction Box is a monster size ONT that does exactly the same thing as the one used in the Verizon FiOS installation in your home or office above: It converts the Analog Electrical Signals for the hundreds of pairs of copper wires that run from the Junction Box to your home or office in to pulses of light that travel over the Fiber Optic Cable back to the Verizon Central Telephone Office. Admit it. You’ve looked at them. We have all looked at them. Apple has spent millions in advertising so that we cannot miss them: The New Mac Book Air and Mac Book Pro notebook computers. The Mac Book Air is ultra light. The Mac Book Pro has an amazing screen. And the iMac and Mac Mini desktops are more like sculptures than computers. But you live in a Windows world with Microsoft Office and Quickbooks and probably feel like all you can do is longingly gaze at those sleek aluminum cases and dream about the day that you might be able to run your business on a Mac. Well someday may be today for you. There is a good chance that Microsoft Office for Mac and Quickbooks for Mac versions may just set you free from Microsoft Windows. Especially if you are not using any of the advanced features of the Windows version and you have limited sharing needs for your Calendar and don’t need to share you Quickbooks data file with other users. The keyboard short cuts will be a little different due to the differences between the Windows and Mac keyboard command structure. For example, PC’s have a “Windows” key and Mac’s have a “Command” key. The fonts may be slightly different so you may have to substitute or purchase fonts for a close or exact match. However, if you use the standard font in the Windows version there is a very similar Mac version so spacing and document layout should be maintained without issue. Macro support is not as comprehensive on the Mac version. If you have extensive use of Macros, you will want to test your documents and spreadsheets before fully committing. Outlook sync to other services, such as Google, is not as strong in the Mac version and some calendar/event tagging is handled differently. If you predominantly write letters and simple reports, create basic spreadsheets with standard formula tools, and use Outlook as an email client with a Contact address book and Calendar, you should be fine. Both Windows and Mac versions can open and save each other’s Microsoft Office files without issue. Quickbooks for Mac does not offer the Premier Specialized Editions. One key benefit of a Premier Edition is the predefined reports. However, you can easily duplicate most of those reports through the report writer. The only Intuit Payroll option is “Quickbooks Complete Payroll” which is Intuit’s version of a payroll service. (You report the hours, Quickbooks Complete Payroll takes care of the rest including direct deposit or mailing checks and all tax filings.) If you presently use a third party payroll service like ADP or PayChex, then there is no issue at all as nothing changes. If on your Windows version, you use the Basic Payroll (Tax Tables Only) or the Enhanced Payroll (Tax Tables plus Federal and State Tax Forms Printing), you are out-of-luck. There is no multi-user version of Quickbooks for Mac. It is a single install, single user program. If you are the only user of your Quickbooks program, do not do payroll yourself and don’t need predefined advanced reports, the QuickBooks for Mac will certainly do the job without issue. Quickbooks has a one-time conversion process to move the data file from the Windows to Mac version. After that, once you Start Quickbooks for the first time on a Mac, the layout, look, and feel are pretty much the same – only cooler – because it is on a Mac. 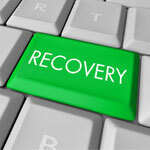 It’s 2013 – Do you know where your sensitive corporate data is? There was a time in the 1970’s through about 1995, before the modern Internet, when the person who managed your Information Technology could say with absolute certainty that he or she knew all of the possible entry points in to your network and exactly where your sensitive corporate data was stored. In the early days of Information Technology, data resided on a mini-computer or mainframe that was installed in a special room that was physically locked in the center of your office space. Green Screen “Dumb” terminals were the only way to access the Corporate Data. There was no connectivity to the outside world. The only way data entered or exited your office was on paper or possibly a heavily guarded backup tape in-transit to an off-site storage location. In the late 1980’s, the Green Screen “Dumb” Terminal begins to be replaced with the “Smart” Personal Computer. In fact, the mini-computer and mainframe for many applications also begins to be replaced by more powerful Personal Computers known as Servers. With the dawn of the Personal Computer, came the Floppy Disk, Zip Disk, and similar precursors to the modern day USB Flash Stick Drive. Even though data was now being created and stored outside the highly secured “Server Room”, the Information Technology Manager still had a significant amount of control as floppy disk drives could be disabled. Data stored on Floppy Disks or Tape had the potential for “mobility” but could be serialized and tracked like any other corporate asset. Few PC’s had direct communications capabilities to the outside world and even if they did, Modems were extremely slow. Since Modems used regular phone lines, and all pricing was “per minute” it was easy, even if after the fact, to notice a multi-hour phone call to AOL or Compuserve (early online services) and investigate. Data, up until the turn of the century, mostly left an organization the old fashioned way: on paper. Again, depending on the volume of information being printed, the Information Technology person might notice excessive printing activity and then investigate. After about 1995, with the accessibility of the Internet starting to become common place and significant price drops in the cost of Personal Computers, for the first time, an employee might actually be able to take data from the office and bring it home to continue working on it. Communication speeds increase dramatically and now instead of taking hours for a file to be transferred via Electronic Mail or a File Sharing Service, it takes minutes or seconds. As the realization hits home that data has become mobile, technology catches up and businesses start to create policies and implement tools that are able to track the movement of sensitive information within an organization and in many cases prevent it from leaving the confines of the company. Tools to accomplish this include the ability to log the username of every person who accessed specific files, such as Microsoft Word Document or Excel Spreadsheet for real time or after the fact review (audit trails); Advanced Content Filtering Firewalls that can scan every email and attachment going in and out of a company via the Internet looking for key words that might indicate a security breach or espionage; and, Company Policy Manuals that explicitly and politely remind employees about the definitions of “Confidential” and “Proprietary.” Even though most every Personal Computer has a USB or CD/DVD drive, the Write functions can be disabled or password controlled as an added measure of security. If you or your Information Technology person cannot answer this question with the same certainty of 30 years ago, engage a Data Security Professional who can help put the “Genie back in the Bottle” and keep your sensitive corporate data secure. Thanks to the Multimedia over Coax Alliance (MoCA), a standard is emerging to enable devices such as set-top boxes, computers, and smart TV’s to communicate with each other and network over the existing Coaxial cable (Cable TV Wire) already in the walls of most homes and offices. It does not matter if the Coax wire is in use to distribute TV service from a cable company, Verizon FiOS, or Over-the-Are Free Broadcast DTV or not in use at all and just sitting there. Some background: Wi-Fi® enabled Internet Routers in many homes and small offices have replaced the need to run classic network data cables meeting the Cat 5e or Cat6 standard. Unfortunately, Wi-Fi® is susceptible to interference. traffic jams and distance/range limitations. There are only so many channels in which Wi-Fi® can operate and in densely populated areas during peak times, Wi-Fi® can experience a kind of traffic jam similar to the Long Island Expressway at rush hour. In other cases, the WiFi signal is just not strong enough to reach to every corner of the home or office. When running new data network cabling is not possible, making the Cable TV wire already in your home or offices do double duty may be your best option. It is MoCA to the rescue to enable you to run Ethernet over the Coax wire already in every room. For example: MoCA enabled devices, such as the FiOS Internet Routers, already serve up IP network addresses to the FiOS Set-top boxes over Coax. (This is how your FiOS set-top boxes get Guide and Widget information and their Internet functionality.) In fact, the new TiVo Premiere devices are MoCA capable and can use the Coax for their Ethernet/Internet connection instead of traditional network data cabling. By adding a MoCA Network Adapter, to which you can connect any standard Ethernet enabled device such top computers, notebooks, smart TV’s, media streaming devices (like AppleTV or Internet Radio), and Blu-ray players, you now have a rock-solid network connection to your FiOS Internet Router. You are probably thinking, “But I don’t have FiOS. I have Cablevision, Comcast or some other CATV provider.” Not an issue. 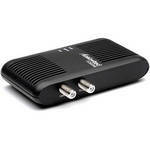 Just add one additional MoCA Network adapter to the Coax cable that feeds your Cable Modem. Then connect the Ethernet Port on the Adapter to one of the Jacks on your Internet Router. You have just IP enabled your Coax to serve up Ethernet over Coax to every room in your home or office. By adding additional MoCA Ethernet over Coax adapters anywhere you have Coax cable you can immediately get “hard wired” network stability and performance to share files between devices or access the Internet. Privacy Note: It is important that if you are using MoCA Network Adapters connected to Coax that is also delivering your TV, Internet or Phone Service from outside your home or office, that you use a MoCA “Point of Entry” Filter where the Coax first enters your premises. This would usually be where the grounding block is installed. The MoCA Point of Entry filter keeps the IP address information that is being distributed across your Coax INSIDE your home or office. Otherwise anyone adding a MoCA Network Adapter could access your network. When the Power is out, if you do not have a Generator, access to the Internet through your home or office Wired or WiFi Router will be out as well. Fortunately, Smartphones and many WiFi capable devices such as iPad’s, eReader’s, and Notebook Computers can run on Battery Power when Electrical Power is not available. A technology called “Tethering” allows many Smartphones to share their Internet data connection capability through the embedded WiFi in the Smartphone. This enables the Smartphone to become a mobile Hot Spot, similar to a MiFi so that any other WiFi enabled device, like your WiFi only iPad, eReader, or Notebook Computer can access the Internet through your Smartphone. In many cases the Cellular Carriers such as Verizon, AT&T, and Sprint charge an extra monthly fee for the Tethering capability and a separate Data Plan for the additional usage. This is especially true if your phone has a grandfathered “Unlimited Data Plan.” Verizon requires Unlimited Data Plan users to have a separate data plan for Tethering. With the new Verizon Share Everything Plans, the Data usage and Tethering capability are included and you only pay for the Data you use across all of the devices on your Share Everything Plan. With other Carriers you may still be required to pay an extra fee for the Tethering capability of your Smartphone. However, every rule has its’ exceptions. With certain Smartphones based on the Android mobile operating system, (that would be most phones that are NOT iPhones, Windows based, or Blackberry’s), “unofficially” no additional fee is required. At Verizon, it is official, based on the FCC Tethering consent decree in July 2012. You need only to browse the Google Play Store, searching on the word, “Tethering” to download an “App” that can turn the Tethering Feature “On” for you. To clarify: If you have either a 3G or 4G Tiered Data (like the Verizon Share Everything Plan or AT&T Mobile Share Plan), you can download any number of 3rd Party Apps which will enable your Android to Tether and become Mobile Hot Spot. 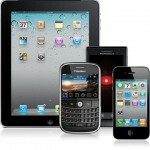 Unlimited Data Plan Users technically still need to pay Verizon or AT&T a Tethering Fee and have a separate data plan. You should call your Cellular Carrier to verify the usage terms of your Agreement. Be advised that right now some of the Carriers seem to be ignoring this grey area of the usage policy but that is subject to change. Keep in mind that the Carrier will absolutely know if you are sharing your Smartphone Data capability using Tethering – so you have been warned. It is possible that you could get a call or letter from your mobile phone Carrier stating that you need to pay an additional fee or purchase an additional data plan. 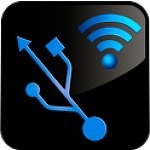 A Special Note for iPhone Users: If your iPhone supports Tethering, (IOS 4 or later), you may need to use either the USB Charging Cable or pair the Notebook Computer with your iPhone via Bluetooth to use the Internet capability of your phone with your Notebook Computer. If you have an iPhone5, then you can definitely Tether via WiFi as described above. IOS 6 has a built-in App for turning the iPhone5 in to a Mobile Hot Spot. (Apple prefers to call it a “Personal Hot Spot.”) If you use the native Apple IOS 6 App, you will definitely need either one of the NEW Mobile Share Plans from AT&T or the one of the NEW Share Everything Plans from Verizon or similar plan from your Carrier. It is quite common for Whole House Generators and some Portable Generators to support both Natural Gas and Liquid Propane as Fuel sources. However, the Generator must be specifically configured to accept either Natural Gas OR Liquid Propane as the fittings and pressures are different for each Fuel type. 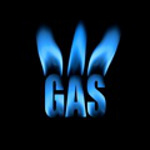 If an option, usually the best Fuel choice for your Generator is Utility Supplied Natural Gas. It is delivered in pipes buried in the ground under high pressure. Delivery is based on pressure physics and not at all dependent on Electricity. Natural Gas is stored in huge tanks with floating tops at the Utility. As the Natural Gas in the tank is consumed by customers, the delicately balanced weight of the top of the tank lowers and forces the Natural Gas out of the tank and in to the Distribution pipes to your home. The Utility Gas Supply is rarely disrupted during even the worst storms specifically because the delivery system is not dependent on external electrical power and the pipes are mostly underground. I have never lost my Natural Gas Service due to a Storm. Check with your local Natural Gas Utility for the history of outages in your area. For example, in the North Shore of Long Island, NY, Gas Service is virtually 100% reliable. But in parts of the South Shore of Long Island, due to an antiquated delivery system, every time severe flooding occurs, Gas Service is suspended. The significant advantage of Natural Gas as a Fuel source for a Generator is that it is a continuous, 24/7 supply – provided that Gas Service has not been disrupted – which as stated for most areas is rare. Natural Gas is usually the least expensive of all Fuel Options. The only significant disadvantage of Natural Gas is that it is not necessarily the most efficient of the Fuel sources. In my article, “Hurricane Tech – The Whole House Generator Option”, I discuss the efficiency differences between Liquid Propane and Natural Gas. However, the convenience and low cost of Natural Gas far outweigh the marginal loss in Generator efficiency. A minor issue is also the increased cost of initial installation. You may need Permits from your town and are usually required to use a Licensed Plumber. A Town Building Inspector will want to perform a Pressure Test to make sure the connection is at the proper specification.